Salt pork flavors this great tasting lentil soup. The soup is seasoned with vegetable juice, a little thyme, and bay leaf. For a smoky flavor, use diced bacon in the recipe or add leftover diced ham. Feel free to substitute about 1 1/2 cups of tomato sauce for the V8 juice. Melt the butter in a large saucepan over medium heat. Add the onion, celery, carrots, and garlic; cook, stirring, until the onion is translucent. Wash and sort lentils under cold running water. Add the lentils to onion mixture along with the remaining ingredients. Bring to a boil and then cover the pan. 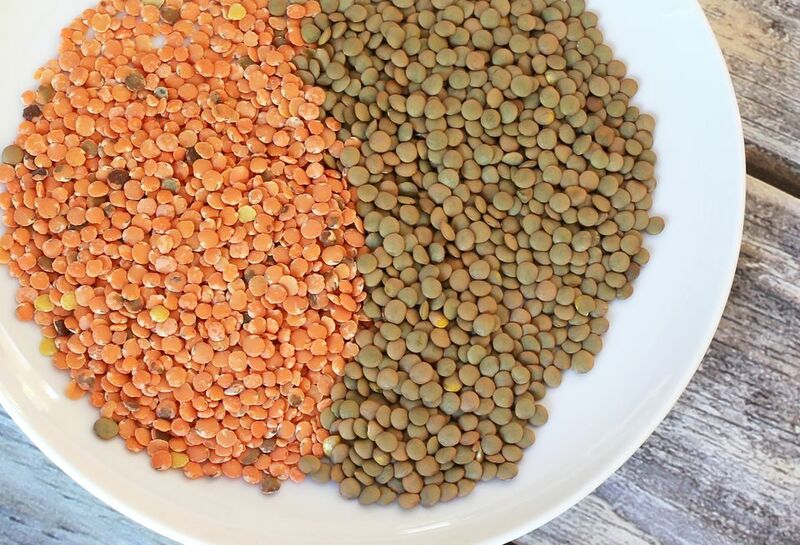 Reduce the heat and cook over low heat for 1 hour or longer or until the lentils are tender. Serve lentil soup with crusty bread or rolls or freshly baked cornbread. Replace the salt pork with 3 to 4 thick slices of bacon, diced. Add it to the pan along with the onion and vegetable mixture. Instead of salt pork, add diced leftover ham to the soup. Replace the water with vegetable or chicken stock (preferably unsalted). If you don't have the time to cook the soup for an hour, consider this crock pot lentil soup with bacon. The soup cooks while you go about your day.